When the 2018 season began there was a lot of hope in Eugene. The opening day roster was filled with a lot of the players that won a championship in Mesa the year before. Chief among them was outfielder Nelson Velasquez, the Cubs’ August player of the month in 2017. Eugene also had a lot of hype surrounding outfielders Fernando Kelli and Jonathan Sierra. Maybe those guys could be the core of an outstanding team. Sometimes, things have a weird way of working themselves out. Things got off on the wrong foot as most of the Cubs’ draft picks were not quite ready to play when the season began. As a result, a large portion of the team was either 18 or 19 years old. That included most of the infield and some of the pitching staff. It was not pretty for the first three weeks as the team struggled at the plate and on the mound. When’s the draft picks arrived in July, things began to straighten themselves out. It took a whole half of going 14 and 24 before things started to change. By the end of July, most of the infield turned over except for shortstop Luis Vazquez. The outfield remained the same, but Eugene also had a new catching corps and several new pitchers of both the starting and relieving variety. It proved to be an exciting August as the Ems clinched a playoff berth by finishing second to the winner of both halves, Hillsboro. Hillsboro pretty much had their way with Eugene winning 8 of their 12 games during the regular season. But in the playoffs you start over at 0 to 0. 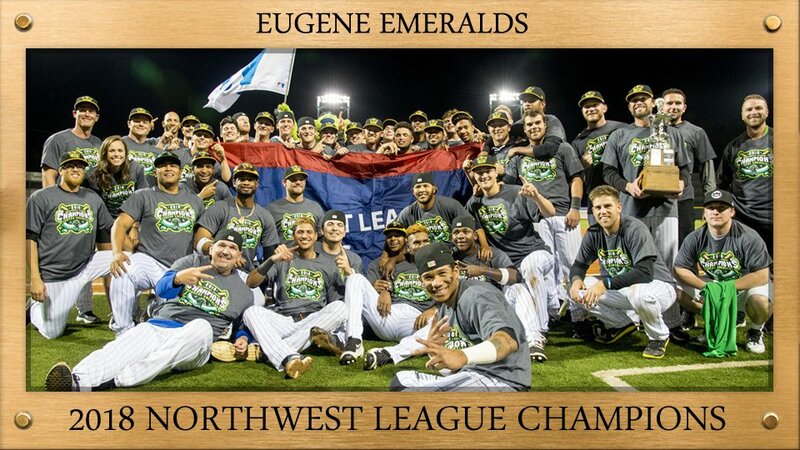 In just two nights, Eugene changed their own fortunes by sweeping the Hops out of existence. Timely hitting by Caleb Knight and Levi Jordan insured that, along with some outstanding pitching by the bullpen. The pen threw 10.1 innings of action in the two game set and allowed just one run. Timely hitting, good defense, and excellent starting pitching in the championship seires brought the Ems their second title in three years against Spokane! Their worst to first story culminated with a walk off balk. The normal step for next year would be for many of these prospects just go to South Bend. For the last couple years, we’ve seen the Cubs be a little bit more aggressive with some prospects. 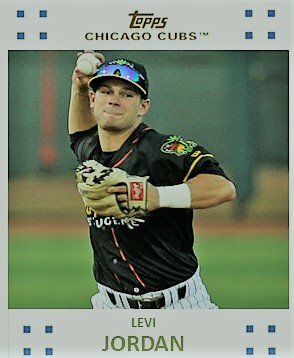 Some might skip South Bend all together and that could be the case for a few of the more mature Emeralds who graced the roster this year. Andy Weber, Luke Reynolds, Derek Casey, and Sean Barry might not need any additional seasoning in the Midwest League. The most logical choices to make it to Eugene next year are this year’s high school and junior college draft picks. But I don’t know if Cole Roederer and Brennen Davis will be in Eugene by the middle of June. They both could make their way to South Bend if they are as good as everyone says. There are also going to be a lot of guys from the DSL who will be competing in spring training to get to Eugene in June. Shortstop Fabian Pertuz and pitcher Luis Rodriguez from the Dominican are just two of a group of about 10 to 12 players trying to get to Eugene next summer. Right now the biggest name that should likely be a Eugene Emerald/Monarc next year is pitcher Kohl Franklin, the Cubs 2018 sixth round pick out of high school, who pitched really well in August at Mesa. 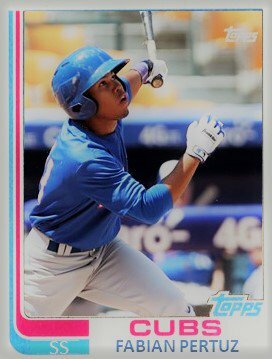 Lefty Didier Vargas is also a player who I think should be ready to start at either Eugene or South Bend along with fellow young 19-year-old pitchers Jeremiah Estrada and Danis Correa who were both injured all of 2018. Most of the roster will be filled with draft picks come early July unless the Cubs speed up their signing process. It will be interesting to see if the Cubs grab a lot of college position players as they did this year.